MINISTER of Education, Youth and Information Senator Ruel Reid says the development of a regional bamboo industry is critical in further diversifying the Caribbean’s agricultural product offerings. “Bamboo’s time has come… as we aim to extend the agro-based sector beyond the traditional crops of sugar, banana, coffee, cocoa and spices,” Senator Reid said while speaking during the opening ceremony for the Caribbean International Bamboo Symposium at the Jamaica Conference Centre, downtown Kingston, on Tuesday. Senator Reid, who represented Prime Minister Andrew Holness, noted that the global bamboo industry, which values approximately US$60 billion, “is big business”, which the Caribbean must seek to exploit. “Today, in the 21st century, we must look to the development of new industries, like the bamboo industry and the cannabis industry, and a range of nutraceuticals such as castor beans, to provide a ready opportunity for the modernisation and diversification of agriculture and agro-industry,” he said. 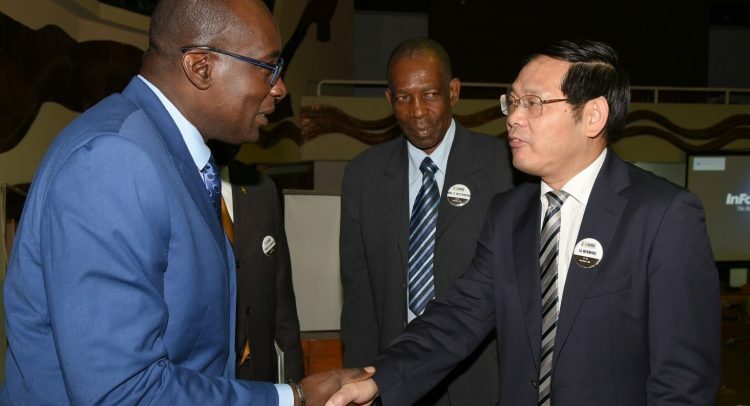 The minister noted that Jamaica and other Caribbean countries that recognise the bamboo industry’s vast potential to enhance sustainable economic growth, are ready to vigorously promote this big business. “I want to assure you that the Government of Jamaica is committed to offer the requisite leadership and support and to work with all stakeholders to find the best outcomes for this emerging industry,” he said. Meanwhile, Senator Reid said it is imperative that Caribbean nations pursue climate-proof agriculture in order to mitigate the impact of natural disasters, regarded as the sector’s biggest threat. “My appeal is that we all intensify strategies and pay special attention to climate change and its impact on agriculture and economies in the region,” he emphasised. The Minister also called on regional states to “seriously pursue” expanded utilisation of renewable energy in agriculture and industry. “Even though we contribute but a miniscule portion to the carbon footprint in Jamaica, for example, we are doing our part to aid the reduction of the carbon footprint,” he stated. Senator Reid pointed out that Prime Minister Holness recently revised the national target to provide 30 per cent of the country’s energy needs through renewables by 2030, to 30 per cent by 2020 and 50 per cent by 2030. “I believe a bamboo industry that produces charcoal and a wide range of other ‘enviro-friendly’ products that can replace plastics, is also a part of the solution to adaptation,” he said. The two-day symposium was held under the auspices of the Ministry of Industry, Commerce, Agriculture and Fisheries, and the International Bamboo and Rattan Organisation, among other stakeholders. It brought together relevant regional stakeholders from government, civil society and the private sector in the Caribbean Community (Caricom) for discussions intended to heighten awareness about bamboo’s potential as a strategic resource for poverty alleviation, green growth, increased trade and investment, and natural disaster mitigation. 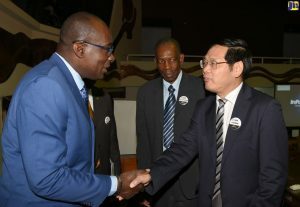 The specific objective was to provide a forum for expanded dialogue to highlight best practices on green economic growth and increased regional and international trade and investment in bamboo; and consensus on the development of a road map for a new regional programme – Bamboo for the Caribbean – that enables Caricom member states to fully realise the potential of their bamboo resources. The Bamboo Symposium is the first forum of its kind to be held in the Western Hemisphere.